John Hill and Dee Alexander. Dave Schwan was born and raised in Northwest Indiana very near Chicago, Dave Schwan has been around music all of his life. Thanks to musical family members, Dave was exposed to jazz as early as age five and never looked back. While playing and performing music on an amateur level, Dave has had a life-long fascination with the history of jazz, American music and its contributions to the world. 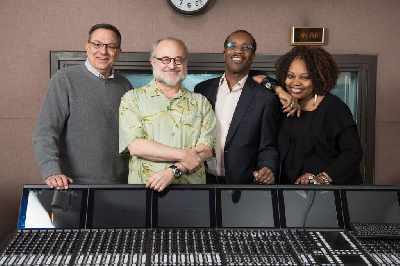 Dave believes that jazz is a true art form and agrees with Duke Ellington’s dictum: “If it sounds good, it is good.” He has worked as a broadcast journalist and program host for nearly 40 years and has been associated with Chicago’s WFMT-FM since 2010. In addition to music, travel is one of his main interests and that has taken him to all 50 U.S. states, Europe and Peru. Along with taking in the history of these places, Dave has always made a point to seek out their musical culture as well, something that never fails to enhance a journey anywhere in the world.